There is a story behind this post. It sarted with a single word. Not even a pretty word, at that. In fact, I’d even dare say it’s a very ugly word. One of the ugliest words I’ve ever heard. What’s that word, you ask, that would, in spite of its extreme ugliness, inspire such a gorgeous salad? As ugly as it may sound, though, the actual product that this word designates inspired me to create one of the most delicious salads I’ve eaten in my entire life. 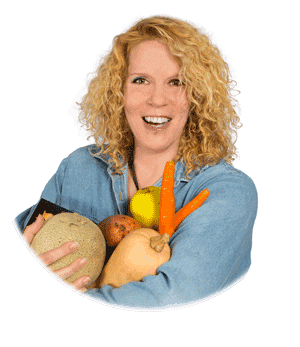 Not only that, it’s also inspired me to create a pretty interesting Goat Cheese, Honey and Lavender Ice Cream, as well as a spectacular Grilled Fruit Salad… and I’m not done. I still want to create so much more. However, there was no way I was going to let such a delightful concoction be tagged with such an ugly name. Especially not after having tasted it. I’m telling you guys, this stuff is spoonable HEAVEN! Now THAT, I like. It sounds so musical, so poetic! Such a perfect name for this wonderful, [not so] sinful, heavenly creation. Now this stuff isn’t necessarily cheap, or quick to make. But take my word for it, it is worth every penny and every second that you will put into it. 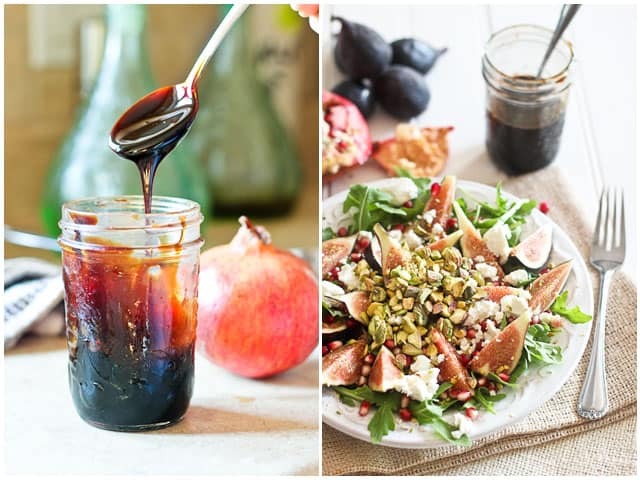 It’s like this super-mega-sweet-and-tangy-and-fruity-and-thick-and-syrupy vinegar. It’s so unbelievably packed with flavor, unreal! What’s best is that you can use it with just about anything. You can also use it warm, or chilled. 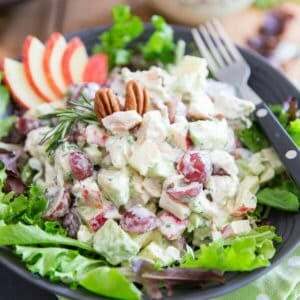 It would pair up really well with grilled meats, salads, greens, soft cheeses, fresh fruits, ice cream, pancakes or even warm cereal. Boy would it ever take oatmeal to the next level! 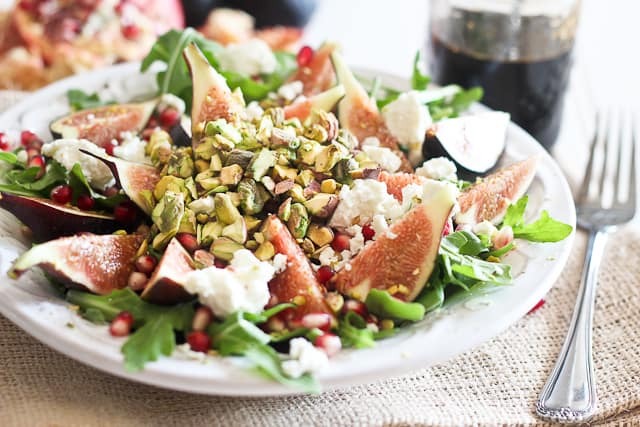 It sure went brilliantly with this fig salad here. It was a match made in heaven. In fact, I created the salad WITH the Agrodolce in mind. 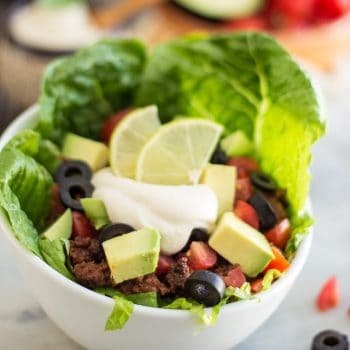 I built the salad around the dressing, NOT the other way around! Oh, and you’ll be surprised by how very little of this you really need. 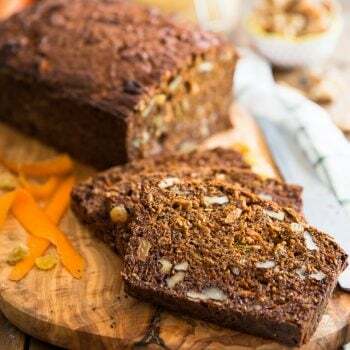 One tablespoon really goes a looooooong way! 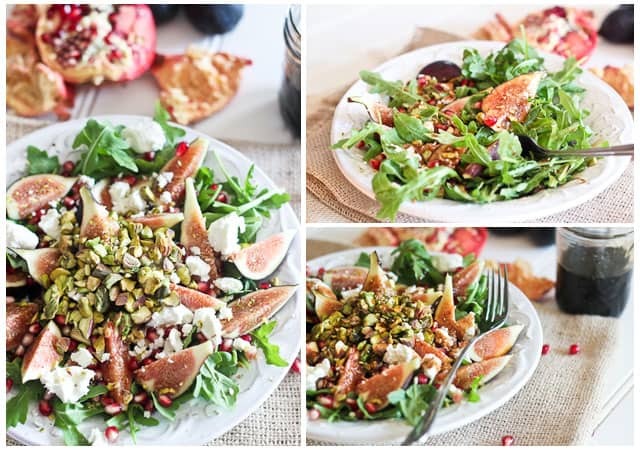 Now, if the pictures haven’t convinced you yet, let me tell you that this salad is just total bliss for your senses. It smells wonderful, looks extremely pretty, and once it hits the inside of your mouth, it just sends you straight to the seventh heaven. Cake has NOTHING on this. 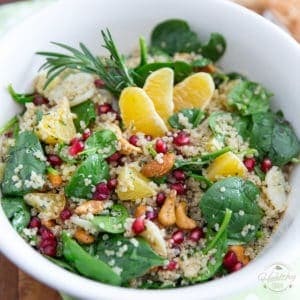 This is like candy in the form of a salad. 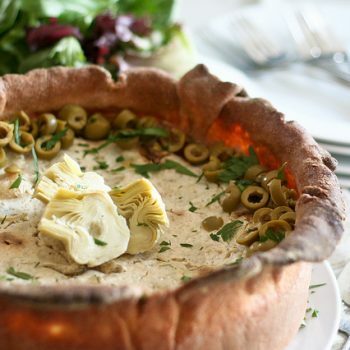 It’s creamy and tangy and sweet and crunchy, all at the same time. 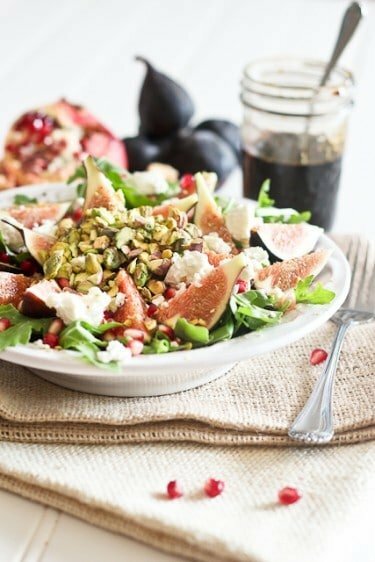 The fresh figs and goat cheese just mix together and seem to literally melt in your mouth while the pistachio and pomegranate provide your molars with a little bit of crunchy action. And the peppery arugula just seems to tie everything together superbly. 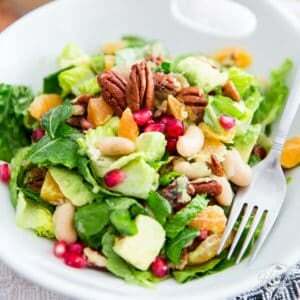 It’s simply the perfect leafy green for this salad. Honestly, I had this one like 3 nights in a row, and I could’ve eaten it all week. Add pomegranate juice to a saucepan and place it over medium heat on the stove. Pour in honey and lime juice and stir to combine. Let the mixture simmer for approximately 25-30 minutes, or until it reduces to ½ cup of thick, syrupy liquid. Remove from heat and let it cool completely before transferring it to a glass jar for storage. Pour the vinegars and honey in a medium saucepan and set it on the stove. Turn the heat up to medium-low and stir frequently to dissolve honey. 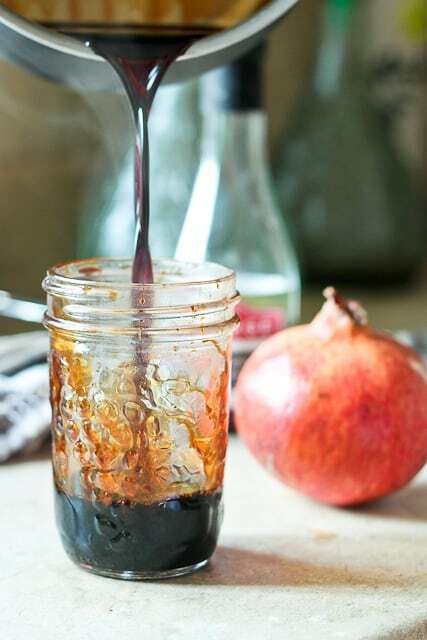 Let the liquid simmer for 10 minutes before adding pomegranate molasses. Stir until the mixture is smooth. Let it simmer for an additional 5 minutes or until you are left with a little over a cup of thick, syrupy liquid. Store in a Mason type glass jar in the refrigerator. 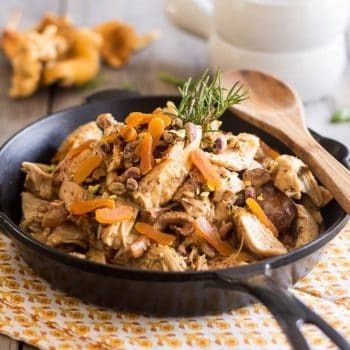 This delectable sauce can be served warm or chilled over a wide range of dishes, including grilled meats, salads and even desserts. 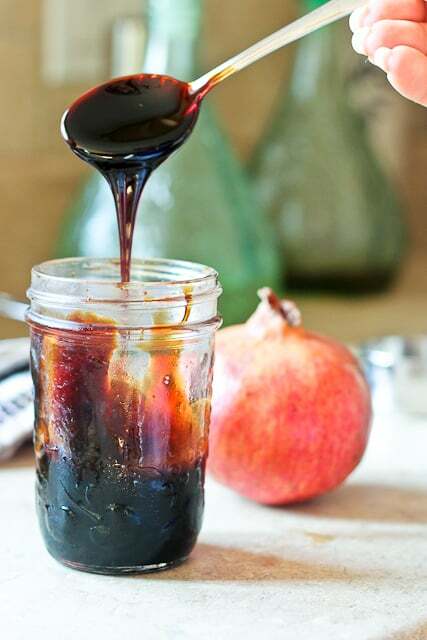 Pomegranate Molasses… just look at the color of this stuff. I looks like liquid jewel! The finished product going back into the jar. Smells sooooooo goood! 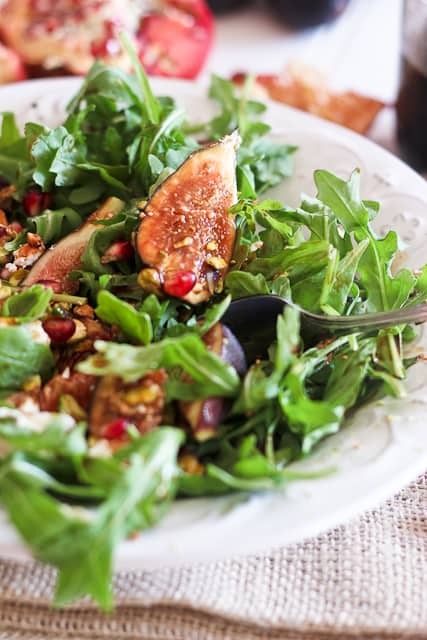 Place the fresh arugula directly in a serving plate to create a nice bed for the figs. 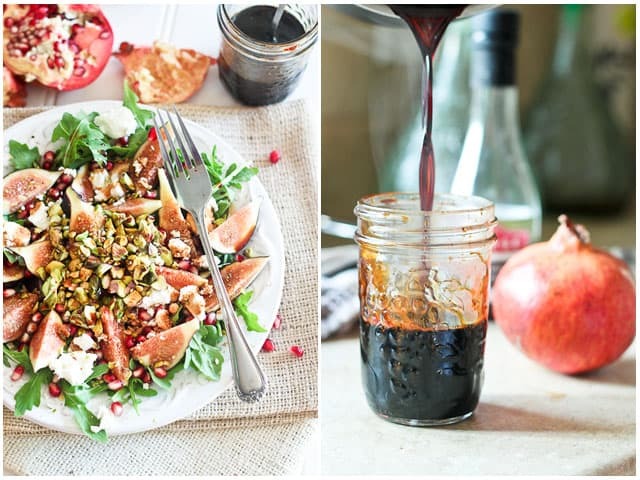 Extract the seeds from about one quarter of a pomegranate and sprinkle on top of the figs. 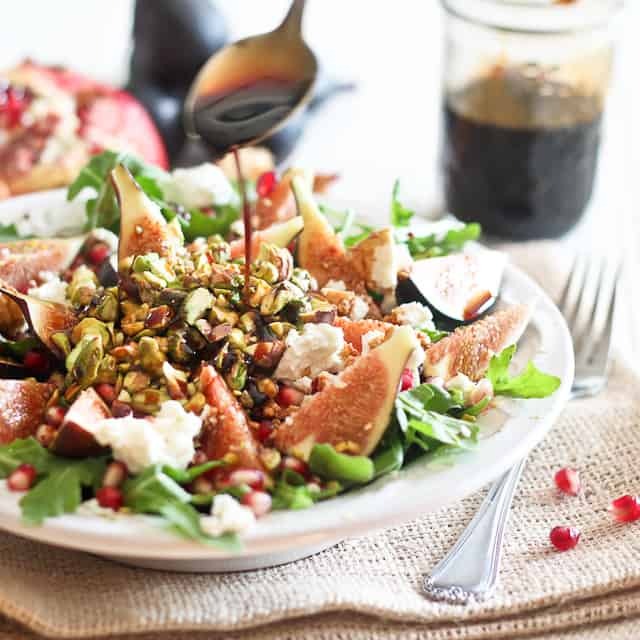 Top with pistachio and crumbled goat cheese and drizzle one or two tablespoons of Pomegranate Agrodolce over your salad. It might not seem like much, but you'll see that a little goes a long way! Sit back and prepare to be amazed! BUT WAY TOO YUMMY TO PASS! 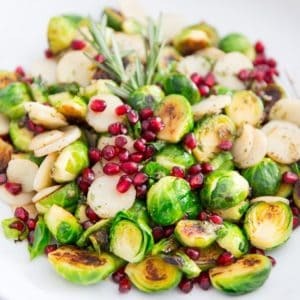 I used balsamic vinegar…but I simply must make your version as I love pomegranite (and pomegranite molasses)..and fig/chèvre combos in all forms…Pistachios…exquisite culinary marriage!!!! I’ve been waiting for this post. That ice cream sounds really good. Will you be posting about that? I really need to thank you for this, Tender. Had you not made that (god I hate that word) gastrique, I would’ve never discovered this amazing culinary delight… it’s just so good, words can’t even describe it. 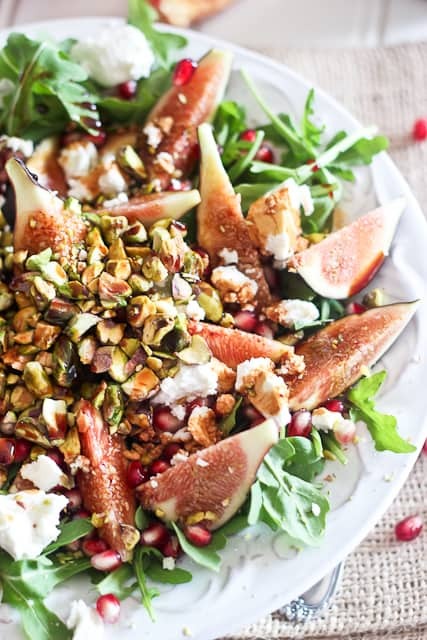 This looks utterly incredible, love the pistachios & goat cheese. 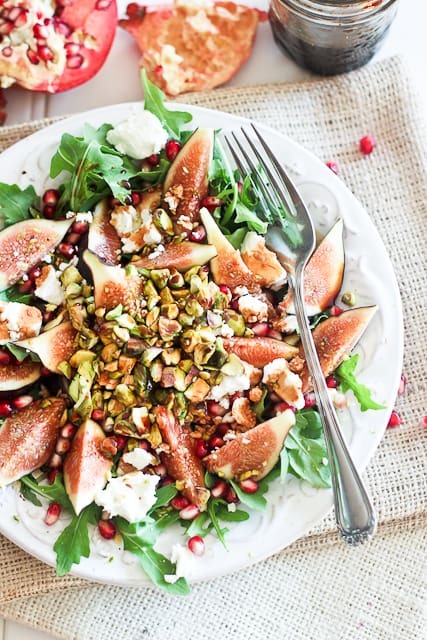 That is one really amazing looking fig salad!